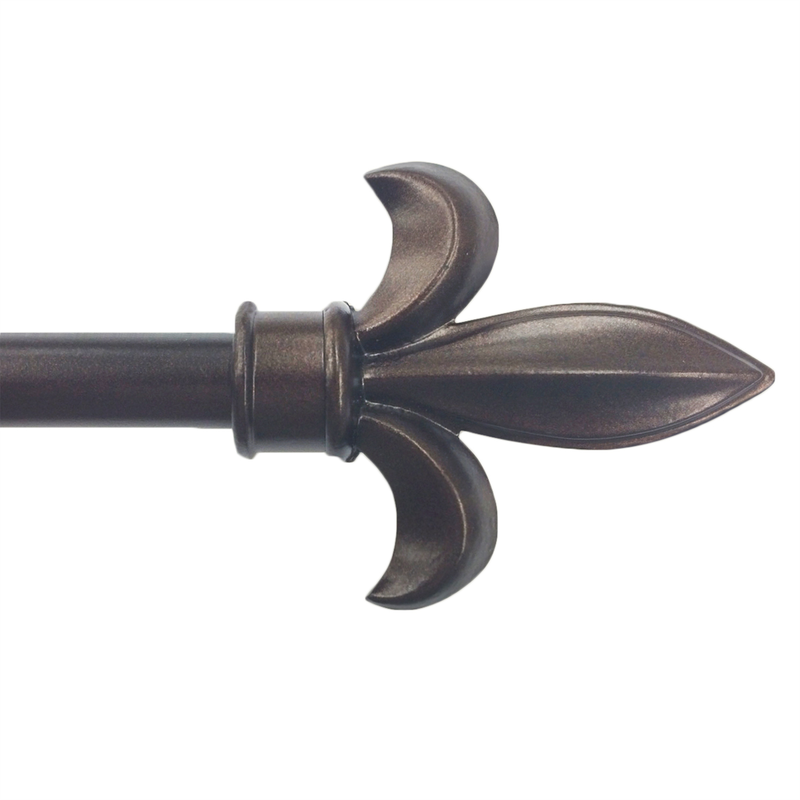 Complement your tapestry with this small version classically designed Fleur de Lis Rod extending from 28 inches to 48 inches. Finished in bronze. Sturdy, versatile metal construction and easy to hang. Fleur-de-lis finial is 4 inches wide and 3.5 inches tall. ~ Ships from the manufacturer. Allow 1 to 2 weeks. Cannot express ship.